Just like adults, children also face challenges in their lives from time to time. If they are having persistent trouble with mood or behaviour, then a child psychologist is a good person to talk to. Common reasons for seeking a child psychologist include: anger, temper tantrums, depression, crying, anxiety, self-harm, low self-esteem, facing trauma or grief, communication problems, social exclusion, family break-ups, sleeping difficulties, bed-wetting, eating and food-related problems. We recognise that every child is unique, with different factors contributing to their difficulties, emotions and behaviours. This is why our therapists treat every child presenting with psychological difficulties as an individual and tailor their treatment to their specific needs. Child psychotherapists often find it useful to work systemically with family members as well as. Our therapists will work with you and your child (at any age) to determine the cause of the presenting problem, and create a safe space for your child to be understood and have his or her concerns addressed using cognitive behavioural therapy, play therapy, family therapy, and/or parenting guidance. Therapy sessions take place weekly at the same time each week to help your child gain the maximum benefit. 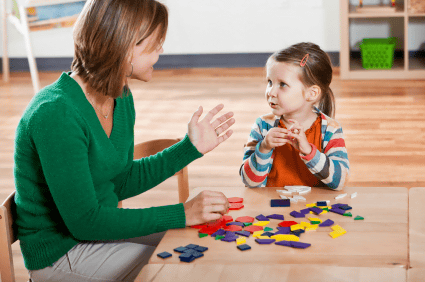 Through the therapy process, your child will develop their communication skills and confidence levels, as well as learning how to cope with difficult feelings. The benefit of this includes improving your child's relationship with family and friends and enabling your child to focus afresh on learning and living a contented childhood. A qualified therapist focuses on understanding, preventing and treating emotional problems experienced by children. We work collaboratively with the child and the parents in planning the therapy process. We are able to explore what your child may be feeling or trying to communicate through assessment, discussion, observing behaviour as well as play and are trained to draw from child development and attachment theory to understand young people and their concerns. To enquire about a psychological therapy appointment for your child, call us today with details of your concerns, or email. Does your child need some extra help? Psychological therapy for children & infants. What is it? Child psychotherapy can help when emotional and behavioural difficulties persist. At Select Healthy Mind Joanna Paczkowska has significant experience in working with young children. She uses various therapeutic techniques including ‘Play therapy’ to put youngsters at ease and open up as to what is troubling them. Please call today or email to request an appointment with her.